Several centuries ago, and during hundreds of years, in the Bay of Cadiz (Spain), there was an extraterrestrial base, but the extraterrestrials abandoned the place because of flaws in the tectonic plates in the area, today, in the place, there is still a hole that marks the spot where the space ship was for a long time. At the present time in that place there is absolutely nothing, except the underwater hole and any strange event that the investigators find has no connection with UFO activity. But how can this be possible? If some ufologists saw lights and other indications of kind of extraterrestrial activity. The answer is very simple, those same aliens, after leaving the base, they built a dimensional portal at about two hundred meters from the crater and they can pass through it from their planet to our planet and vice versa, this the whole story. 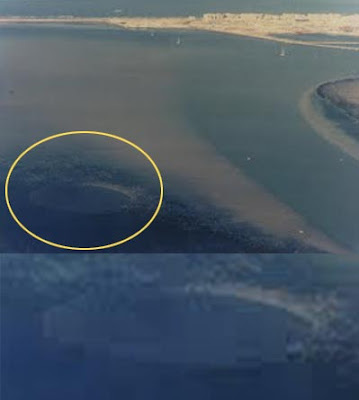 The crater in the bay of Cadiz is located at few miles from the coast and it’s barely noticeable from the air. In any case there is nothing mysterious about it. A similar accident to the one occurred in Roswell happened also in Kecksburg, a small two-seater space ship crashed on December 9, 1965 due to merely mechanical flaws in the forested area of Pennsylvania, this event was witnessed by many people. The members of the space ship were immediately teleported to their mother ship, but only one survived. The American military authorities, as they always do, arrived quickly to the place and they captured the wrecked UFO, obviously without the aliens, afterwards they started a campaign of disinformation and silencing the witnesses. Even a very well-known journalist of the place called John Murphy, a news director for the local radio station WHJB, was in the place of the accident and he took several pictures of the object, but later on they were confiscated by two agents of the government who forced him to keep silence under the threat of harming his loved ones. It is important to highlight once again that many people consider that extraterrestrial beings have powers as if they were gods, however they are simply other beings whose spirits have decided to embody in other planets different from Earth, and although their world can be very advanced technologically, it doesn't mean they are infallible beings; on the contrary, they might crash their space ships as well as we crash our airplanes sometimes. During the First World War a massive disappearance of soldiers took place in the mountainous town of Gallipoli, a strategic point of capital importance, which was under the control of the Turks. According to one of the so many stories about the event, on August 21, 1915, 21 the battalion of the Norfolk Regiment advanced toward the peninsula being watched by a group of observers who were controlling the maneuver. The day was clear, and with a perfect visibility. The soldiers advanced avoiding the natural obstacles in perfect formation. Suddenly, a strange and dense cloud began to advance through the field where the soldiers were. The observers lost visual contact since their observation position was blocked by the cloud that every time became denser. When the mist vanished and they recovered visibility, the cloud had disappeared along with all the soldiers of the regiment. According to the Masters of Light, when we asked about the whereabouts of the soldiers, they told us that the abduction was carried out by extraterrestrial beings similar to us, that is to say humanoids with the same DNA. That race was having problems of infecundity and the terrestrials were kidnapped for genetic experimentation. 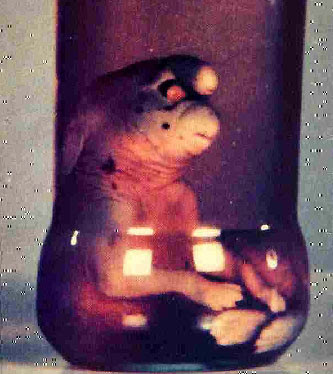 Obviously, many of them didn't like the idea of being guinea pigs and they requested to be returned, but the extraterrestrials didn't consent to their petitions, they considered them of supreme importance to solve their genetic problems. In addition, they considered themselves as saviors, because they thought that if they had not abducted them, the soldiers would have surely died in battle. Although this case is almost unknown, this creature has provoked many speculations, this “goblin” was only an extraterrestrial pet that was coming with an extraterrestrial contingent and in an oversight of one of the owner it simply escaped. Is this the whole history? Well yes, this is the whole story! Let’s Imagine that we travel in a space ship to a primitive planet, where the inhabitants think they are the only rational beings in the universe. Well, If we had a domesticated monkey as a pet and this pet is eventually caught by one of the natives, What would they conjecture if they don’t believe that there is life in other planets? Well, this is what happened to scientists, when they conjecture several theories, of course it was not a goblin, since goblins cannot be caught because they don't belong to the physical plane and they are only appear in a holographic way. The story of the Goblin of Girona (Duende de Gerona Spanish) says that it was a creature of 12 cm [6 inches] captured in the forested area of Girona (Spain) in September 1989, it was a creature with red eyes, smooth yellow skin and a lump on his head, it was somewhat similar to a rabbit, apparently it lived only four days, it was intelligent and meek and now is preserved in a bottle with formaldehyde. 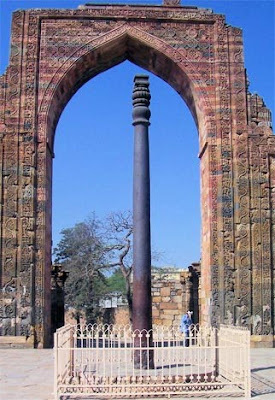 The iron pillar of Delhi was simply an antenna built by extraterrestrial beings and its function was to communicate them with their world; in their planet, obviously there was another antenna of similar characteristics. And this is the whole story. Once we have definitive explanations, the mystery ceases to exist. Evidently this pillar will continue puzzling to those who believe that in the universe there are no other intelligent beings. 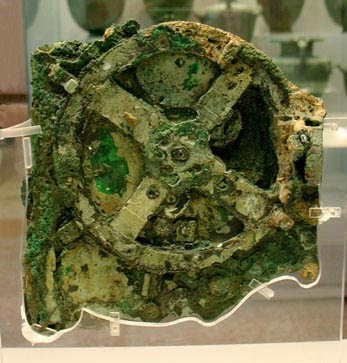 Just like the case of the iron pillar of Delhi, the solution of the mystery of this artifact called “the Antikythera Mechanism” is quite simple since it was only an extraterrestrial artifact of astronomical measurement, with multiple uses that the aliens who built it simply forgot and they lost it, exactly as we do sometimes with our keys or cell phones. Just another example that proves that extraterrestrial beings can be also forgetful as we are. This entry was posted at Wednesday, November 04, 2009 and is filed under Extraterrestrials . You can follow any responses to this entry through the .